May 14th // Had a great time performing the works of some of my favourite film/animation composers - Ryuichi Sakamoto, Taro Iwashiro and Yoko Kanno, as part of the Esplanade's collaborative SUPER JAPAN festival with Suntory Hall. 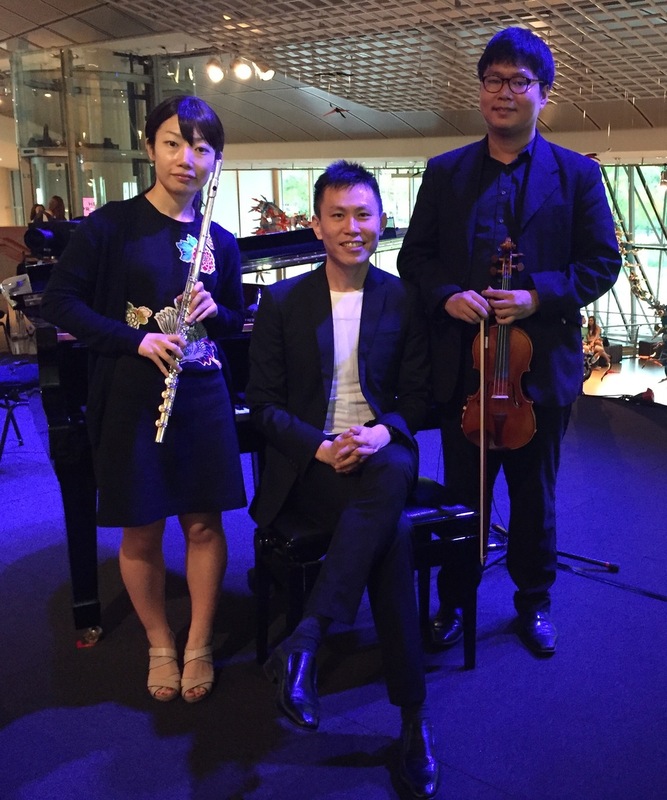 It's always wonderful to be playing with two of my really good friends Benjamin Wong (violin) and Yukari Usui-Blest (flute). June 11th, 12th // Next up was a performance at National Gallery of Singapore, as part their Common Grounds Community Open House. I wrote some new pieces inspired by the music of Debussy, Ravel, Sakamoto and Coltrane. Unusual combination, I know :) But to me they are different sounds which complemented each other perfectly! It was a really fun and exciting one, with once again Benjamin Wong on violin, Yukari Usui-Blest on flute, and my long time mentor/friend/collaborator Teo Boon Chye on tenor and soprano saxophone, Miyata Masato on bass and the young and very talented Jakin Chang on viola. The pieces were inspired by this confluence of cultures from East and West, and also drew from stories such as The Monkey King, Mazu the Water Goddess, tales of Wizards and Princesses. I also had a great time writing the music - it was new approach completely, and I got to try out some new ideas working with textures and improvisations.